TALLAHASSEE, Fla.—Attorney General Pam Bondi filed a lawsuit against BP and Halliburton on Saturday over the Deepwater Horizon oil spill. 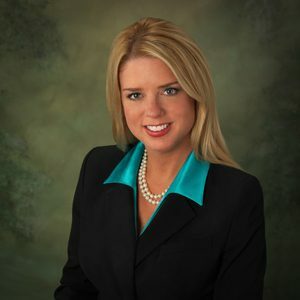 During a press conference yesterday, Bondi announced that the State of Florida is seeking $5.48 billion in damages. The lawsuit contends that the defendants are responsible for the unfettered release of millions of gallons of barrels of oil discharged into the waters of the Gulf of Mexico and adjoining shorelines of the United States, including the pristine beaches, shorelines, and estuaries of Florida. The State of Florida added in its complaint that "the full extent of the impact of the spill is not yet known and may not be known for several years." The lawsuit includes twelve federal, state and maritime counts. The lawsuit maintains that, under the Oil Pollution Act, the State of Florida is entitled to economic damages through the revenues it lost due to the oil spill, including sales and use taxes; corporate taxes; documentary stamp taxes; cigarette surcharges; cigarette excise taxes; beer, wine, and liquor taxes; fuel taxes; rental car surcharges; and utility taxes and receipts. The State of Florida is also seeking punitive damages under maritime and Florida common law due to "the egregious nature of the misconduct" that led to this environmental and economic disaster. In addition to several gross negligence counts, the lawsuit also contends that BP and Halliburton trespassed by causing the deposit of hydrocarbons released from the Macondo Well into or onto the real property owned and/or possessed by the State of Florida.